Nearly an hour’s walk from the High Street, perched on the plateau to the north of the River Lea at the north eastern edge of the parish, Bower Heath could almost be classed as ‘Wheathampstead’s remote uplands’. 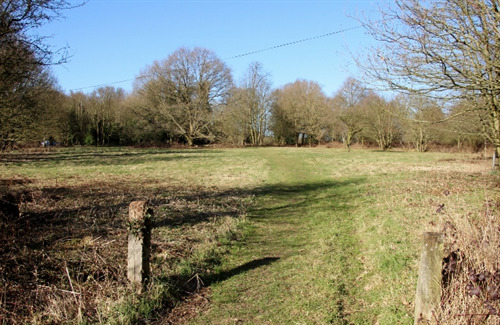 The heath is a 19 acre (8 ha.) green space that our Parish Council owns and manages. Like Nomansland and Marshall’s Heath, it’s Common Land which, from medieval times, was probably used for communal grazing and wood collecting. 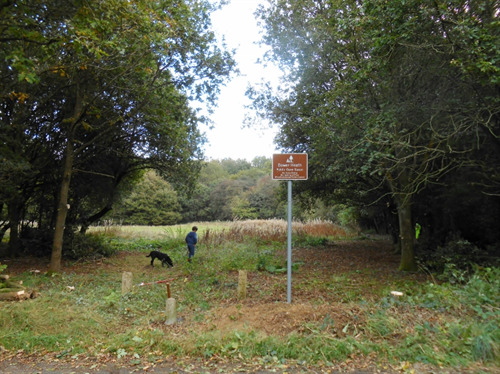 Bower Heath is Access Land: open to the public for recreational purposes. Bisected by roads and paths, the heath is an interesting mixture of woodland, scrub and acidic grassland. Old maps show a much more open heathland, but since the cessation of grazing, woodland and scrub has encroached on to the area of grass. The heath is also a County Wildlife Site. In the wooded areas, oaks and hazel predominate with some bluebells showing in the spring. The scrub mostly consists of hawthorn and bramble. There are records of healthy vegetation, bedstraws, bents and harebells in the grass, but rabbit grazing and scrub encroachment is threatening this rare habitat. Our parish manages the heath with the aims of keeping it open and safe for recreational purposes; and encouraging the wildlife interest. A walk to the Heath comes highly recommended: an enjoyable excursion through old, winding country lanes and paths with occasional, panoramic views across the Lea valley.